My husband is English and I am of french descent born on the island of Mauritius. My husband was a geophysicist and myself varied career - teaching English as a Foreigh Language, coffee shop owner in South Africa, hand-made chocolates own business, financial adviser for an insurance company. We have both travelled a lot and lived in different countries. We have lived in the UK for the past 24 years and have moved to France 2 years ago. We have bought a large farmhouse and have started the renovations. We are now entering our 3rd year and have changed our plans slightly. We are only concentrating on breeding alpacas and transforming their wonderful fibres. We have 3 moutons d'ouessants as they are so cute and the smallest sheep. We also have a gite and will be receiving tourists during the summer months. We receive visitors and also organise walk with the alpacas. 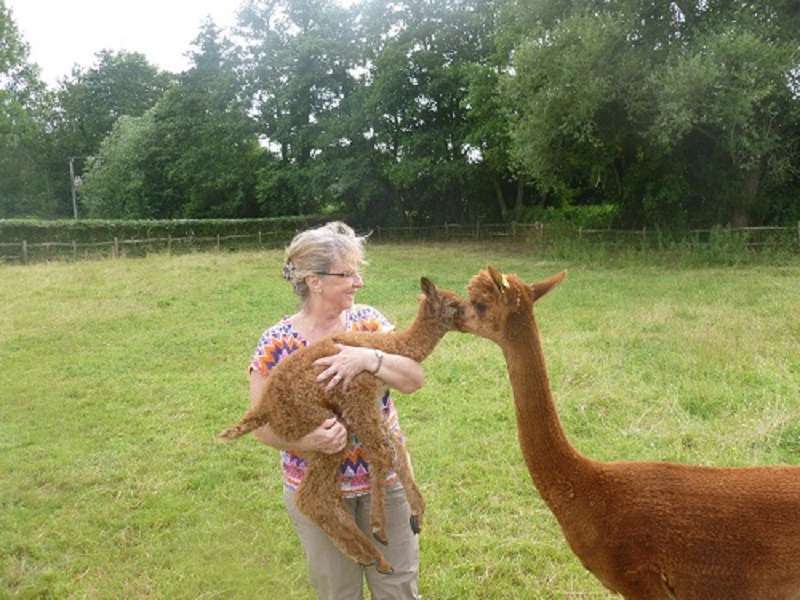 We would like to create an environment where guests can have the alpaca experience and also learn to get back into nature and self sufficiency. We are continuing planting various unusual fruits and vegetables. 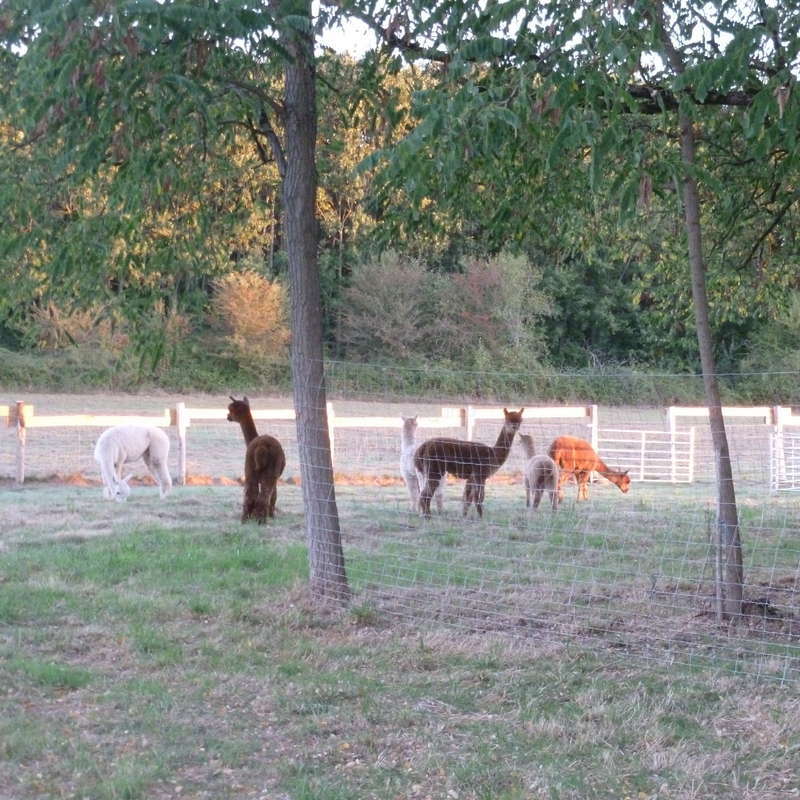 We are also in need of building more fences in order to create new parcs for the alpacas. 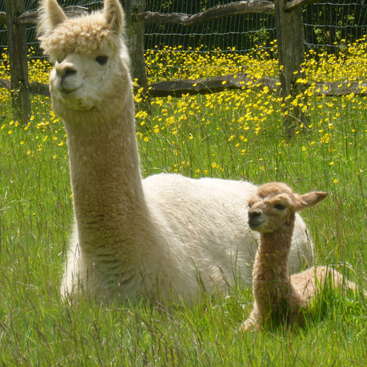 If you are hard working, interested in alpacas and their fibre - knitting etc you are welcome. We are need helpers for building fences and cutting woods. Way of life in France and also be in a family that has been well travelled. We have children and grandchildren in the UK who visit from time to time so they would meet also a wide range of visitors. Different styles of cooking and we are an easy going family and we were a host family for foreign students whilst living in the UK. Learn with us how to start a small holding and being as self sufficient as possible. 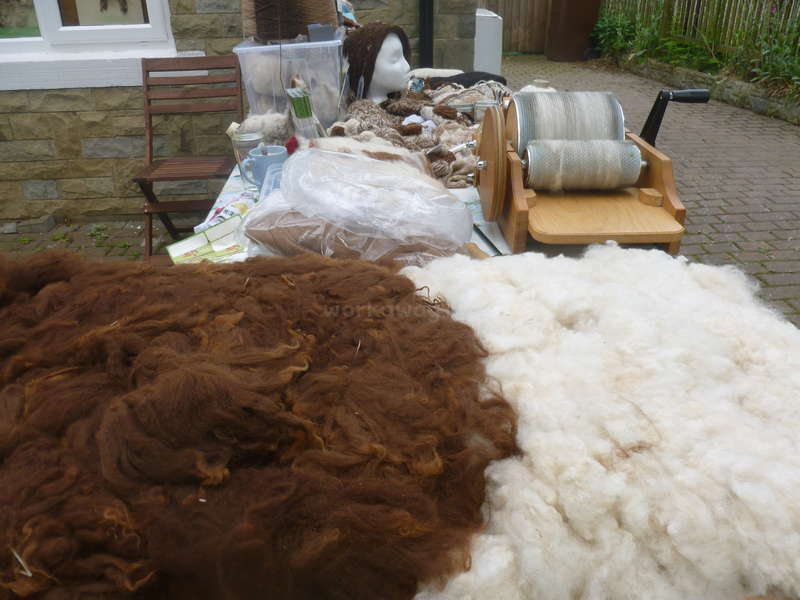 Possibilities to experience breeding alpacas and the transformation of the fiber. Working five x 5 hour days and having 2 days off. We are active on several fronts. 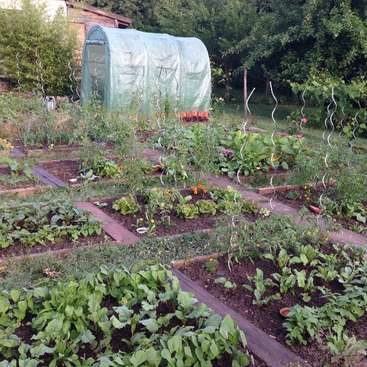 These include renovation of the farmhouse, fencing to create extra parks in the forest for the animals, establishing new orchards and vegetable gardens. We also have woodlands which have been abandoned with lots of cutting of woods. Extensive remedial work on neglected trees is also required. The animals also need daily care. Currently we have alpacas, moutons d'ouessant and hens. In summer the alpagas are expecting crias, and in April they are all shorn so it is time for fiber transformation. We need helpers who are motivated and can help on their own when required and not worried to get their hands dirty. They must be enthusiastic in understanding what we are trying to achieve and see life and the hard work associated with agriculture and keeping animals.
. We are flexible as long as you are trustworthy and wanting to involve yourself with our knowledge of farming and learn along the way and also help us in daily tasks and projects. Other projects at this time is planting and upkeep of the gardens/orchards. Animal welfare, upkeep of barns and fencing. Also preparing the land for next season planting. Please ask me if you require further information as there are other very varied tasks. A little house across the road from the farmhouse. Self contained house with fitted kitchen, lounge, bathroom and 2 bedrooms as there could be other workaways or family staying. Meals can be flexible - you have breakfast at the little house and then come and join us. Having lunches and dinners do not count as working hours. We do appreciate help with the meals and clearing up afterwards. If some days you would prefer to cook for yourself that is also fine in the little house. If one wants to enjoy the farm and the facilities during their off hours they can otherwise use the time to explore the environments. There is a train station that you can take to travel around. We are in a rural, agricultural situation, about 50kms east of Bordeaux. The town of Montpon-Menesterol, with most amenities, is 5 minutes by car. No bus but trains and taxis. There are several lakes and walking trails nearby. Reasonably close to famous wine regions. Spectacular scenery and medieval towns along the Dordogne river. Canoeing, cycling, local markets. Looking for hard working individuals who do not mind getting their hands dirty. We live and work on a farm and work can be messy. You need to bring your gloves and working boots though we have a variety of boots here for those travelling light. Rosalie has been a great workaway, she was enthusiastic about all her travels and as well fitted in with farm life. She cared well for the animals and all their chores. We were also busy with collecting vegetables especially pumpkins so Rosalie did a lot of cooking for us and experimenting with recipes and sauces. We enjoyed long conversations… read more about her travels and life and we wish her all the best in her future. Hopefully we will see her again. Denise has been a fantastic workaway and has embraced farm life to the full. Denise is very skilful and has helped in numerous tasks, she has maturity and initiative. We left Denise in charge of the farm a few times. We enjoyed doing the ecofete and having knitting sessions with the alpaca's fleece. Denise showed me how to knit socks which she… read more herself is an expert of. Our jam sessions were fun as we had so much fruit this summer and we enjoyed her cooking as well. 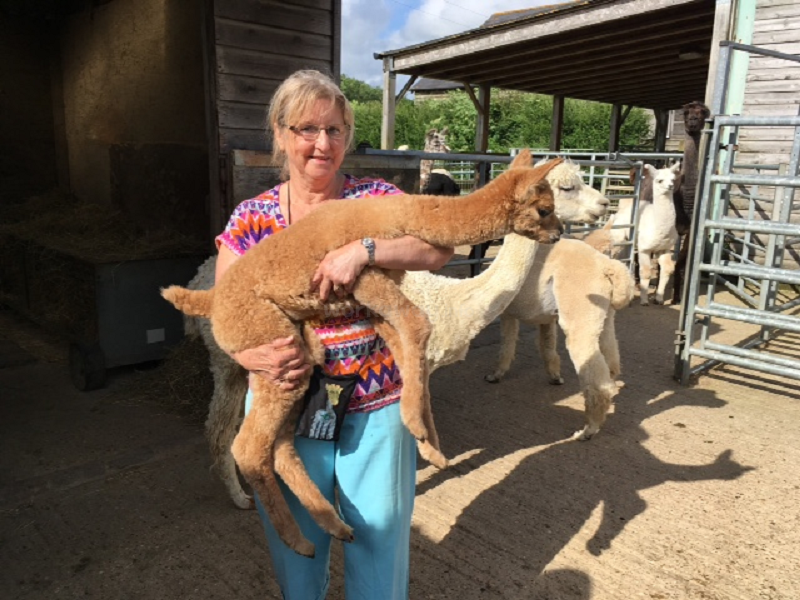 Denise really enjoyed working with the alpacas and the other animals and it was great as well to receive her boyfriend who got stuck in and helped as well. I do hope that they will both come back to visit us anytime. I had a great first Workaway experience with Joelle and Phil in France. During my 3 weeks there I helped out with the Alpacas (clearing away the poo from their fields, filling up water buckets, feeding them and tidying up afterwards). It was so nice to work around these friendly animals and I got to learn a lot about them. I also fed the goats… read more and chickens on some occasions, did some laundry and cooking. As a knitter I especially enjoyed all the tasks that circled around the Alpaca's fiber: our day at the Écofête (a charming little bio fair), the time preparing for it and rearranging the atelier afterwards, knitting etc. As there were many plums in September, I prepared them for making jams. Once the jam was filled into the jars, I labeled and decorated them. All very creative and enjoyable tasks. I stayed in the fully equipped little house across the road, where I also had breakfast (food was provided). We had lunches and dinners together at the farm. Shortly before the end of my stay, my boyfriend came to join me there for two nights. He helped building some fences and we all had a really good time together. Joelle and Phil are very nice and extremely generous people. We will surely go there again to visit and help. We had a great stay with Joelle and Phillip. It was our first time to do workaway and we wouldn’t want to spend it anywhere else as they were very nice people we sure want to visit again one day! 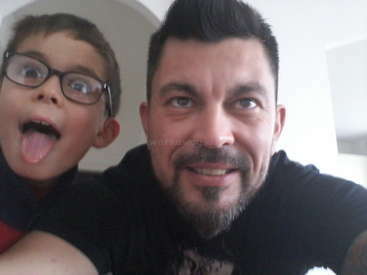 The first few days were a little difficult because we had to learn a lot but once you know what you have to do and what is expected from you it was very… read more nice. The alpacas were so adorable, we really loved to be near them and work with them by our side. The working hours are very variable, some days we worked for 7 hours but others only 2 or so. Joelle and Phill took us a few times to other places as 'La fête des cantonnes' and the firework of 14 Juillet which were 2 amazing days. If you go here, know that if you don’t have your own transportation, there isn’t really much to go to in the environment by foot. In your days off, Joelle and Philip will be happy to drop you off at the station, but after your hours on working days, this isn’t really an option. But then we enjoyed the company of the alpacas by reading our books in their field which was very relaxing. Eveline and Nora spent two great weeks here at the farm and have been extremely helpful. They adjusted to life at our farm.. They were very polite, did all their tasks to the best of their abilities, nothing was too much for them. They embrased farmlife and its challenges. I wish them all the best for their future studies and hope to see them… read more again. Julia has been a great workaway. 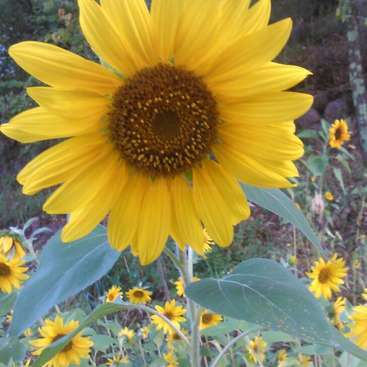 She embraced our farm life with its ups and downs and fitted in perfectly. The weather was very hot. We had family and visitors during her stay and she became part of the family. 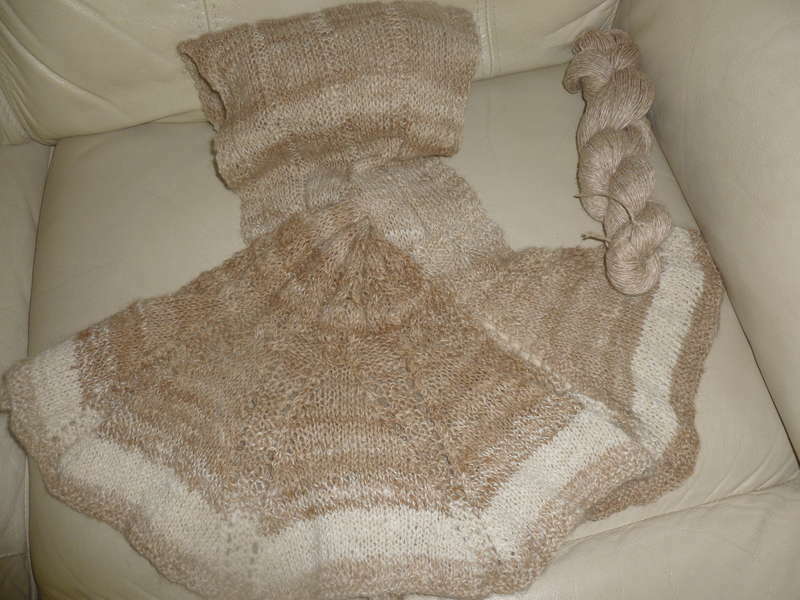 I enjoyed our knitting and art sessions and help in creating knitting patterns. She was very keen about the alpacas and their fibers. I… read more have also learnt a lot from Julia as she is a very talented lady. Her knitted slippers are wonderful. Julia worked well, very polite, on time and always ready to take on any tasks and also to offer help and suggestions. She was great with the animals and was lucky to have witnessed the birth of our first moutons d'Ouessant. We wish her all the best in her studies and hope to see her again soon. While my stay with Joelle and Philip was short, I had an amazing time. I learnt so much about farm life, caring for alpacas, and growing fruits and vegetables! As a student in a city, there aren’t many opportunities to pop outside and get lunch fresh from the garden. During my stay, I helped out with the alpacas and other critters (i.e.… read more cleaning, “poo-picking,” feeding, and filling up water buckets). Because it was so hot by midday, I worked in the mornings for a couple hours and again in the evenings (with a long break in between for lunch and some time to myself). I stayed in the small guest house across the street, which housed all the essentials (including a washing machine, some breakfast food, and of course, a coffee machine!). The meals that Joelle and Philip prepared were delicious - I can’t wait to make some crumble, jam, and ratatouille! Joelle and I also shared some knitting patterns and art project ideas. 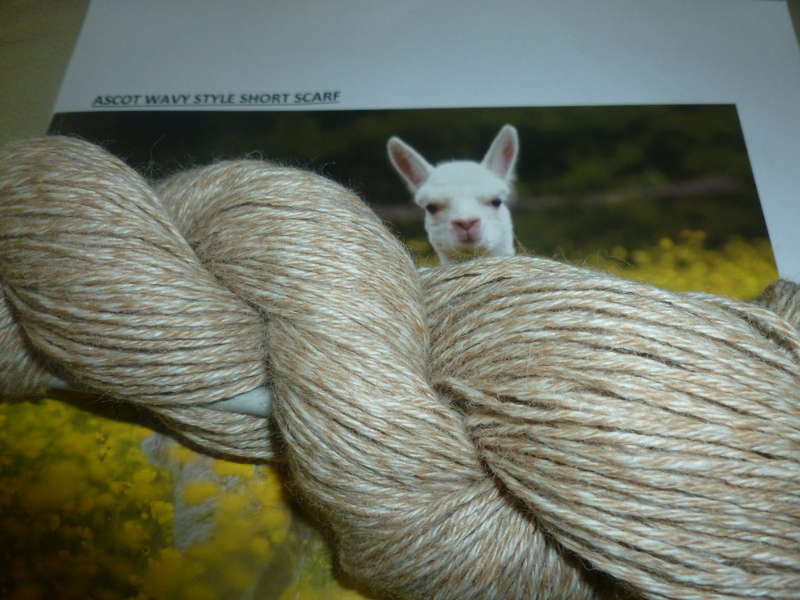 Again, I can’t wait to get started on that scarf pattern with the alpaca wool! Joelle and Philip were both so welcoming and great company! I am so grateful for the wonderful experience I had at the farm. This was my first workaway experience and it was beyond my expectations. I also had the good fortune of seeing the newborn Mouton Duvernet before I had to leave! I hope the little guy fares well. So, Joelle and Philip, thank you for your generosity and kindness. I wish you both the best of luck! I will be following your farm’s progress on instagram and facebook. 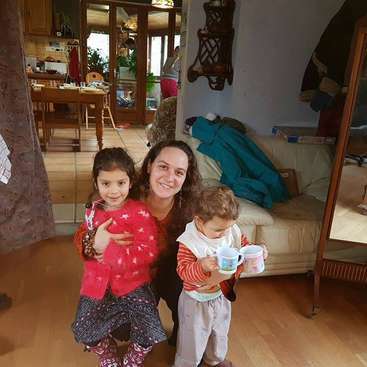 To say we were excited at the prospect of coming to help on the farm is an understatement, out of our whole journey we had planned it was the workaway that we looked forward to the most but that feeling was gone after the first day. We only stayed 5 days but we were afforded no time to do anything apart from work, which was split between 4 or 5… read more hours in the morning and another 3 or 4 hours in the afternoon. As the purpose of our travel was to experience new places in France it was just a shame that in 5 days we hadn't anytime to do so. This was our 3rd workaway experience and the first two were such lovely families that we bonded with a lot, with here though, it felt very impersonal as Joelle didn't seem very interested in learning anything about us and out of all the work we did for her...there was never a single word of thanks. Phillip did give us a lift to the train station even after we left sooner than we had planned, which was greatly appreciated -- text redacted-- Had we not have received a message from another host to stay near by (which turned out of be an amazing lady with a lovely family) this would have completely soured our view on workaway and maybe put us off. Emma and Steven were ok. Steven in particular performed some good work for us. Our only real issue is that having told us that they would be staying for 3 weeks they left after only 5 days. Moreover they informed us that they would be leaving at about 10pm the evening before the day they intended to leave. Even so, I still gave them a lift to the… read more local station! Jan Paul has been a great and helpful workaway. Very competent and we enjoyed his company. We would have him with us again anytime. Hope you enjoy your new job and your new venture of permaculture. If you are looking for farm life this is just the place to go. The estate is very big and there are plenty of animals to take care of. Also the hosts always have new projects in mind. Therefore, the tasks are very versatile and you can learn a lot about alpacas, goats, chickens and all sorts of different crops. When the weather is bad there are… read more also plenty of refurbishment jobs awaiting inside the old farm house. During my short stay I did the flooring in Joelle's soon to be workroom for example. Speaking of which...Joelle was a wonderful and caring host. She always made sure that I was very well fed and had everything I needed. Unfortunately, Philip had to leave us the day after my arrival due to family affairs. Nonetheless, it was most enjoyable to stay over after work to eat and chat with Joelle. The accomodation was not in the farm house itself but in a small house on the other side of the road. The place is rather simple but neat and tidy! We enjoyed having Scottie here for her two weeks. She was polite, interested in the animals and farm. She was a great help for these two weeks and we would be happy to see her again. We enjoyed her chicken curry it was excellent. We wish you all the best in the future and keep in touch. Joelle and Phillip are a very kind and knowledgable couple of hosts. I am happy that I had the opportunity to help them out for a couple of weeks. 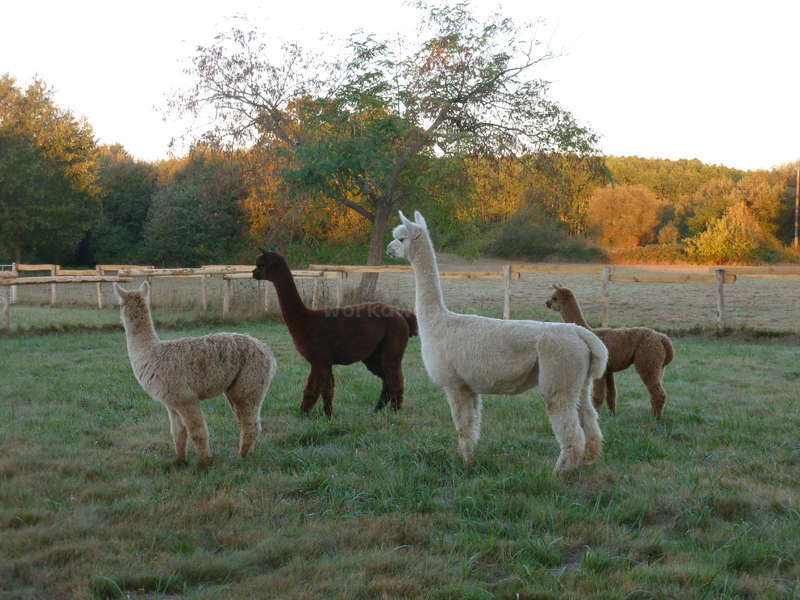 I learned a lot about the interesting lives of alpacas and the making of a farm project. We enjoyed delicious dinners together and had some good laughs. I hope the weather got tremendously better and… read more things have calmed down a bit for y'all! Thank you so much for hosting me and best of luck with the new baby alpacas, the gojis, getting rid of those boars, the farmhouse renovations, and planting the vegetable garden! If I am near Bordeaux again, I will definitely make a point to stop by to see how things are progressing. Eva was a great workaway. No jobs was too much for her, she did not mind getting her hands dirty clearing the upstairs of our house before the renovation. She is very knowledgeable, well travelled, very savy. Eva basically tried her hands at everything that was going on at the farm. I will miss her and wish her all the best for university. Tina apologies for the late feedback. We enjoyed working with Tina. She helped on various fronts and was great at finding names of plants that we had in the garden. Also very creative with dried flowers. I hope you are enjoying your continued workaway adventure. Many thanks for your feedback and apologies for the delay in replying. You have been a great workaway. We all loved and now miss your company, fantastic and diverse cooking using a lot of ingredients growing on the farm. You were very versatile and tried your hands at so many varied jobs and was always happy. Your Cello entertainment… read more was great. You were very interesting and so diverse that we all learnt from each other. Hope to see you again and keep us updated in your progress through life i.e. studies and careers. I wish you all the best in your future studies or career and enjoy sunny Los Angeles. Joelle has often told me, “Time moves faster in these parts of France.” And indeed it does. My time working on Joelle’s alpaca farm in the south of France has flown by all too quickly, but not uneventfully. It has been a fruitful five-week sojourn – one full of feeding alpacas by hand, tending to the goji berries, visiting nearby farms and towns,… read more preparing plentiful dinners, hand-lettering wooded signs, and so forth. During my stay, I have learned that Joelle is a hospital host, an industrious agriculturalist, and perhaps most importantly, a good friend. It has been my first and truly unique Workaway experience. Marie Quelle grand plaisir d'avoir fait votre connaissance. Bien trop courte votre visite. Je vous remercie de votre feedback et j'espere que vous reviendrez tres bientot. Marie est pleine de vie, toujours souriante et toujours prete a aider. Mon seule regret c'est de vous avoir laisser partir sans les oeufs de la cour. Prochaine fois aussi marche… read more avec les alpagas. A bientot . Bises de Joelle, Philip et les alpagas. Je n'avais que quelques jours de disponibles pour faire connaissance avec Joelle, Phil et leur projet. Quel dommage ! Excellent accueil, bonne table et bon hébergement , tâches variées, tout fut un plaisir. Vous pourrez désherber le jardin, mais aussi donner le biberon à la petite chèvre, balayer l'étable, nourrir les bêtes, casser des noisettes,… read more trier la laine, cuisiner, ramasser les crottes, peindre une pancarte ou je ne sais quoi d'autre : Joelle n'est jamais à court d'idées. Si vous avez de la chance, vous irez peut être visiter les marchés alentour ou la filature de laine. Le seul hic a été de quitter ces alpagas si merveilleux au sourire étonnant : ce sera surement mon plus beau chagrin d'amour de l'année ! Magdalena was a wonderful workaway. She really got involved with the farm, animals and even our painting sessions of our farm animals. Created spreadsheets for alpacas info and always trying to find ways to improve with the animal health. Magdalena was polite, hard working and helped with treatments when alpacas needed it. She was very observating… read more and interesting. We enjoyed having her come back for a second visit. Lets hope there will be more. Staying with Joelle and Phillip was interesting, fun and enjoyable and the time just flew by way too fast. Their place has a lot of potential, and you can really help out getting the farm started. There are tasks for every talent, from helping with the daily care for the animals (feeding and poo picking), gardening, building/fencing, painting… read more (both walls and decorative painting! ), to helping in the kitchen. 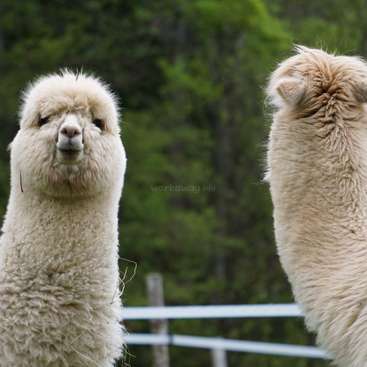 The alpacas are amazing animals, so different from all the animals I knew before, and they do make you smile everyday. Joelle cooks delicious food, and they both make you feel at home and a part of their day. Thank you for this nice experience, I hope to come and help you again sometime! showed himself to be very adaptable with plenty of initiative. He helped out with meal preparation and on one occasion cooked us an outstanding Indonesian… read more style meal. It was a nice experience to help 3 weeks at the place of Phillip and Joelle. Since they have just moved to France a few months ago, there are a lot of interesting things to do and they have a lot of ideas for the place. I helped with feeding the animals, poo picking, planting trees, pruning, renovation.... Phillip and Joelle were friendly and made… read more me feel at home a bit. Thank you for having me and best wishes!